With an accessible, easy-to-understand writing style, COGNITIVE PSYCHOLOGY, Sixth Edition will give you the tools you need to be successful in the course! 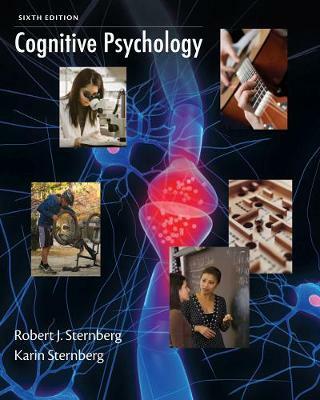 This book covers cognitive neuroscience, attention and consciousness, perception, memory, knowledge, representation, language, problem solving and creativity, decision making and reasoning, cognitive development, and intelligence. A review of key themes at the end of every chapter will help you spend more time studying important information and less time trying to figure out what you need to know. The author provides a "from lab to life" approach that covers theory, lab and field research, and applications to everyday life.